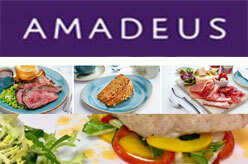 Amadeus food – event catering company based in Birmingham, specialising in corporate, private and wedding event catering. Amadeus, Centre Core, The NEC, Birmingham. B40 1NT.